After school lego club for 4th through 6th grades. Miss Tamie's After School Lego Club! This month the Lego Club will be for grades 4th through 6th grade. There are 12 openings and registration IS required. You must register with the library. 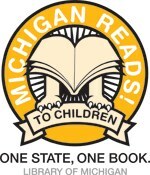 Please call at 269-672-7875 or email lovemylibrary@live.com.